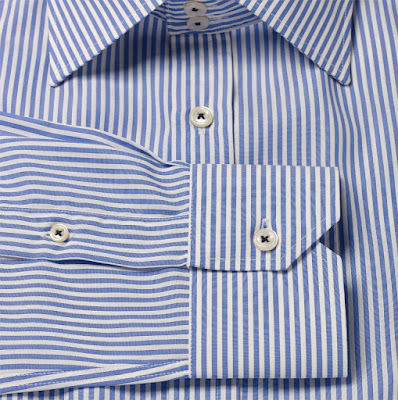 If you’re looking for a shirt that is like no other, may I recommend using The Savile Row Company’s made-to-measure service? Perfect for the modern man, not only will you create a shirt that is tailored to your every need, but because it will be handcrafted in the UK, you’ll receive something of inimitable British quality. Once on the website, you’ll be asked to follow an easy-to-use guide, including words and video. To begin, choose from a selection of 25 premium fabrics, then move onto customise features including collars, cuffs, pockets and fit. For those after something even more personal, there’s also the option to add your initials. Once everything has been completed, you’ll then wait just four weeks (sometimes sooner) before the finished product arrives at your door. Not happy with what you’ve created? No problem, The Savile Row Company provide a free-of-charge alteration service. Visit savilerowco.com now and get things started.